Somehow We Manage: Routines, Socks, and Pencils - Back to School! I think your planning principles are wonderful. They would work for anyone in just about any circumstances! Well done, SB. And the kids look amazing in their back to school outfits. I can’t wait for school to start this year, truthfully! We are all ready. Still a month to go over here though. I’m so impressed that you can do your morning routine and get out the door in 45 minutes! We live 3 blocks from school and have 2-3 hours before school starts and still are usually just getting there by the skin of our teeth. I’m also interested in the 3 hours of afternoon free time. So you’re not doing any entertaining during that time? Most of our pain points have more to do with the 4-7pm hours when I’m out of tricks for the day, dinner needs to get done, husband is running late, baths, etc etc. Our main pain point related to school is working pickup and drop off around the baby’s naps/feedings, and rushing home and trying to put 3 kids down for naps/quiet time as quickly as possible before they get overtired. Love your systems! I hope the school year is off to a great start. I just have one child, and we started Kindergarten last week. Between the excitement and adrenaline and the stress, I felt like it was going to take.me.under. Currently getting prepped for school and trying to decide if we should force the homework after school (they're soooo tired) or wait until after supper (terribly hard to get them back to it). We've always done homework right after school with the goal of having supper/evening to relax and be easy. I wonder if a homework station would work for us. My kids tend to like to go to weird places to do their homework. . . but maybe that's because I don't have a station? Love this! You inspired me to pack my own lunch, regardless of if it's a day I'm going to the office or not. What a game changer! 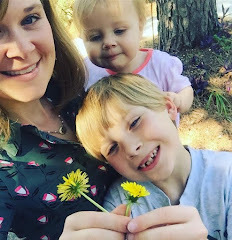 I can't remember if it's in The Happiness Project or Happier at Home that Gretchen Rubin writes about putting together a drawer with postage stamps and other supplies her family needs regularly but can't find (or runs out of without replacing) and how it took care of so many little stressors. So smart to do that with homework stuff, too.